2. Post a selfie to YOUR Facebook page. 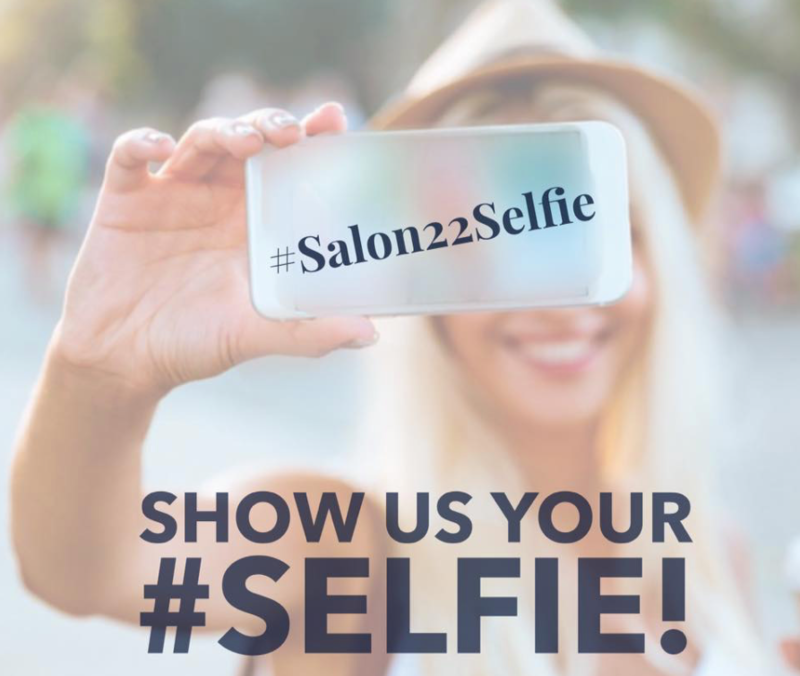 Check-in or tag us by using @Salon22andSpa in your post - we don’t want to miss any entries! That's it! Easy to enter. Entries will be accepted now through September 30th. We will randomly choose a winner on October 1st! Good luck!